The latest Sky3DS+ has now arrived and we have a slew of bundle offers available to get you up and running as quickly as possible. 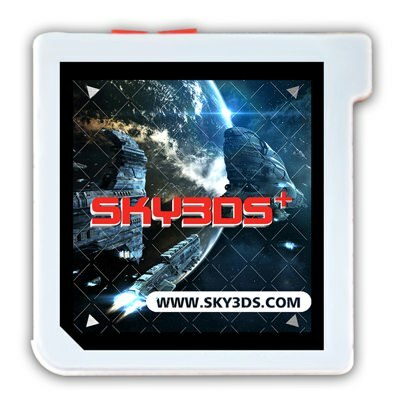 This new updated version features all of the same features of the original SKY3DS but has done away with all of the limitations that came with the version before this newest Sky3DS+ edition. 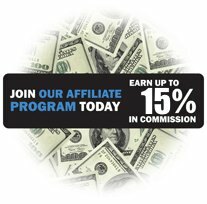 The first thing you'll notice that makes this new PLUS version different then the previous version is the easy and comfort of use. The older version had a single game changing button. This made changing between games and browsing the available games on the micro SD card. While the single button worked, it made scrolling through and browsing your games a chore. If you had say 60 games on a card, you'd have to push the button 60 times before you would be able to get back to the first game on the list. The new double buttons allows for a much easier navigation. Use on button to go forward and one button to move backwards through the available games. The next change may leave you wondering why, but once you use it, you'll understand. Now included with every card is a micro USB cable that you can connect to the micro USB port of the side of the card. 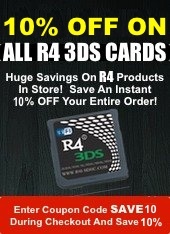 Why would we need one when the Sky3DS+ uses micro SD cards to load and store games? Well, you need it in order to update your Sky3DS+ card with new firmware, should it ever need it. But you can also use it to load and store your files to the sky3DS card... or rather, to the micro SD card inserted in your SKy3DS+ card. Mind you, you can simply use the usb card reader to install and copy your files. The key with the USB port is the ability to update the card, should it ever be needed, to enhance it or its abilities. 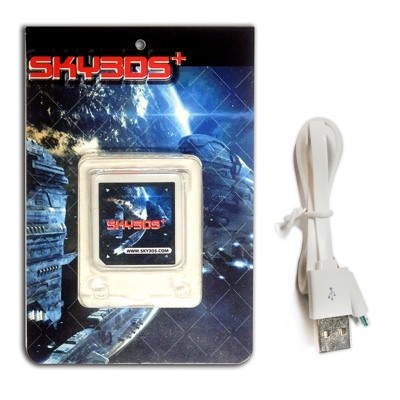 The USB cable is also included with every sky3ds package. See the video below for a complete introduction and overview of the latest Sky3DS+ Plus features.